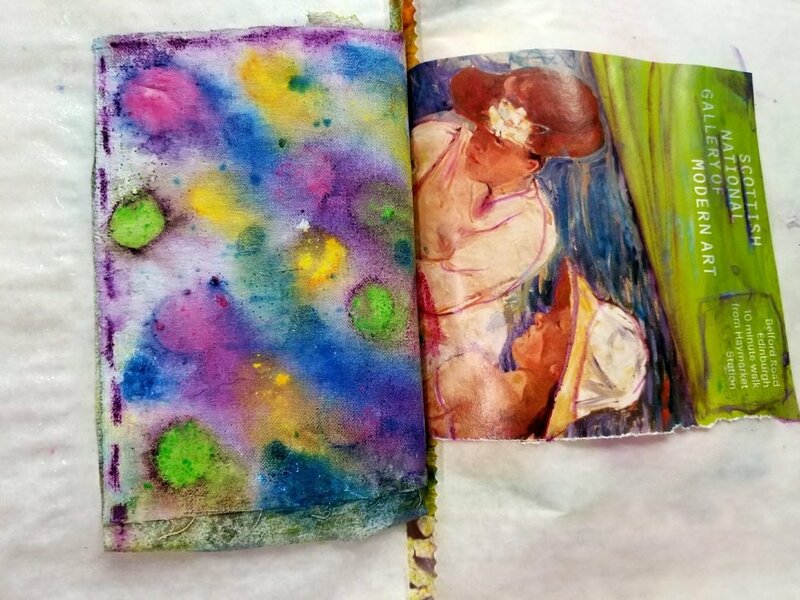 The pages in my little pocket journal are so small, I added art to TWO sets of pages today! A new tool - scribble sticks! I like the scribble sticks, a little different from other watercolor crayons I have. I was enjoying myself and thought, why not continue and add to another set of pages? this page changed because of the paper I added! The small size of this journal and wonky pages makes it very easy for me to jump in and do something to satisfy that creative itch! 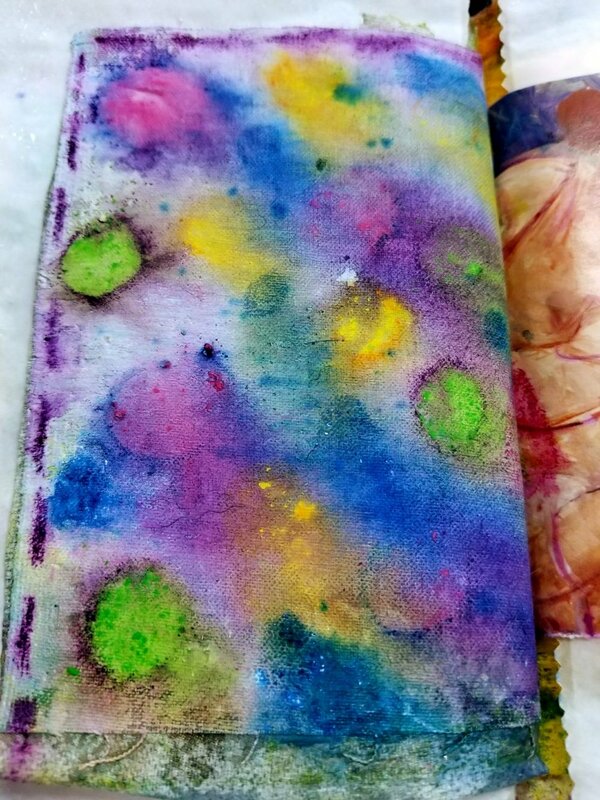 If you would like to make a journal like this I can highly recommend the Pocket Journal class by Rae Missigman and Sandi Keene. You can make it however you like with what you have on hand and then you can have fun filling it up with your own art marks! Enjoy and let me know if you have any questions. To leave a comment you need to sign in and then wait for me to approve it, all to prevent spam!